Active duty servicemembers are often at greater risk of identity theft and fraud because they may be deployed overseas or away from home for weeks or months at a time. In 2018, Congress passed a law to give active duty servicemembers the right to free credit monitoring services from the Big Three credit bureaus (Equifax, Experian, and TransUnion). Unfortunately, the new law only requires the credit bureaus to provide “electronic notifications” of material changes in a servicemember’s credit report, i.e., email, text, or other electronic alerts. The law does not provide servicemembers with full free access to their credit reports when they receive an alert that something has changed. While notification is good, its just not enough. Its like telling someone your family member was sent to the hospital but only telling you why if you pay them. Our actively deployed men and women deserve better. As the law currently stands, they can only find out the details of the changes that they are notified about if they buy a credit report or use their one free annual credit report. The credit bureaus should not be allowed to make the deployment of our military as a way to make money, by sending notifications of changes but not providing free access to see what has changed. Fortunately, Congress gave the Federal Trade Commission (FTC) the power to mandate free credit reports as part of new requirements for free credit monitoring. The FTC has issued a proposed rule on credit monitoring but did not include free reports. But we can do something about this oversight. Please use this link to go to the FTC website and tell the FTC that active duty servicemembers should get free online access to their credit reports when they get an alert that something has changed in their credit reports. Deadline to submit comments is Monday, January 7. While there may be some delay to the FTC acting on the proposed rule due to the FTC currently being closed thanks to the government shutdown, you can still leave comments about the proposed rule via the above link. Kudos to AnnaMaria Andriotis at MarketWatch.com for penning a very detailed, in depth article about ten things the Credit Bureaus won’t say. I have taken her ten items (in quotes below) and added my thoughts for each one. I even added an eleventh thing you won’t hear the Credit Bureaus dare say. 1. “We track a lot more than just your credit.” What else do the credit bureaus track? Pretty much anything they can. Like how often you change addresses, your income, your neighbors’ income, your city’s average credit score, how often you change jobs. 2. “Selling your secrets is how we make our money.” That’s right. We are not their customers. We are the credit bureaus’ inventory. And they get that inventory virtually for free (and sometimes even paid to receive it). Our creditors provide our payment history to the credit bureaus, sometimes paying a fee to do so. The credit bureaus then turn around, compile the information provided by thousands of creditors into your credit report, then sell it to you and to your potential creditors. If they assign the oh so magical “credit score” to your report, you pay even more just to have this number (which is not even uniform among the credit bureaus, creditors, or any one else). Craziness. Even crazier … the credit bureau industry raked in about $4 billion in 2011 selling you to your potential creditors. Bet you did not see a dime of what your information was sold for. 3. “What we know could cost you a new job.” That’s right. Your credit report is not just used to determine your credit eligibility. Its also used by many employers (roughly 47%) during the hiring process. That often leads to a catch 22 type situation that I have talked about before, where you can’t pay your bills because you are unemployed but no one will hire you because your credit score dropped when you didn’t pay your bills. Again I say … craziness. 4. “Good thing no one’s reporting on our mistakes. Oh, wait.” That’s right, the credit bureaus sure wish there was no one paying attention to their accuracy level, or lack thereof. But watchdog organizations and even governmental entities are watching and keeping track. US PIRG releases a report on the credit bureaus every few years. And, recently, the Federal Trade Commission issued a very damning report that showed that one in five (20%) of consumers had at least one error on one of their credit reports. 13% had errors serious enough to effect their credit score (i.e. making their interest rates go up or their credit limits lessen) and 5% had errors so bad that the errors would cause them to be denied credit in their entirety. 5% may not sound like a big number but that equates to about 10 million consumers. Crazy scary. The Fair Credit Reporting Act requires the credit bureaus to follow reasonable procedures to assure maximum possible accuracy of the credit reports they create (and profit off of). Obviously, a 20% error rate is not “maximum possible accuracy” or anything close. Add that to an investigation procedure that does not come close to cutting it, and you have a recipe for a disaster for hardworking consumers. 5. “You all look so much alike…” This one hits on the faulty matching logic used by the credit bureaus. When the credit bureaus generate credit reports about you, they use the personal identifying information inputted by the entity seeking your credit report to match you to your accounts. At least that’s how its supposed to work. But the credit bureaus do not require an exact match of your identifiers to the identifiers on an account before putting that account on your report and publishing it as your history, good bad or ugly. This leads to what us consumer lawyers call mixed files. I once represented a man whose brother had bad credit. They shared the same last name (most brothers do). Their first names started with the same first initial (again, a lot of parents name their kids like that). Seven out of nine numbers of their SSN match, but that’s not uncommon. If they got their SSNs in the same state and at the same time, its very likely the first five numbers match, since (back then) the first three numbers identified the state where the SSN was obtained and the middle two numbers indicate the grouping of SSNs. So if their parents got their SSNs at the same time (again, not uncommon), the first five numbers are very likely to match. The two brothers in my case also shared the same address at one point in time (about 10 years before, again not uncommon for brothers to at one point live at the same address). And their dates of birth were within ten years of each other, again not unusual for brothers. So the only personal identifier that match was the brothers’ last name. But that was enough for one of the credit bureaus to merge their credit histories together, ruining my client’s stellar credit with his deadbeat brother’s terrible credit history. And, even worse, the credit bureau refused to fix the problem, despite years of dispute from my client, until he finally hired me and we sued. Crazy crazy. 6. “… its tough to tell you apart from someone pretending to be you.” Ahhhh, identity theft. The reason I got into this area of law to begin with. While its often the fraudulent credit grantors that are to blame for the problems caused by identity theft, the blame also rests with the credit bureaus. What the credit bureaus want to ignore is the Fair Credit Reporting Act’s requirement that they perform reasonable investigations of disputes lodged with them. They want to pretend that only the furnisher of the disputed information has such a duty (the furnisher does have such a duty, but its in addition to the credit bureaus’ duty to investigate). So all the credit bureaus do to “investigate” is forward your dispute to the furnisher of the erroneous data and then … wait for it … the credit bureaus believe whatever the furnisher tells them, no matter what proof you have provided of your innocence. Unlike in baseball, where “a tie goes to the runner”, in the credit bureau’s world, you are out no matter how much you beat the throw, simply because the umpire says you are. And the umpire gets paid if he calls you out. Twice as crazy as crazy crazy. 7. “Your ‘credit dispute’ doesn’t quite capture our attention.” This ties into number 6. The Fair Credit Reporting Act requires the credit bureaus to forward all relevant information provided to them by the disputing consumer to the furnisher of the information being disputed. But what’s nuts (I’ve run out of ways to say crazy)? The credit bureaus do not even have a system in place that allows them to forward any documentation or other proof from consumers to the furnishers. All they provide is a two digit code that is translated on the furnisher’s end to a basic dispute like “identity theft” or “not mine” or “never late”. So send proof that you were never late, including bank statements and cancelled checks. But don’t expect your proof to make it to that umpire waiting to get paid by calling you out. 8. “But bypass us on a dispute, and it’ll cost you.” This is one of the main weaknesses of the Fair Credit Reporting Act. There is no liability on the part of the credit bureaus or the furnishers of erroneous information if you do what most think is natural – dispute directly to the furnisher. For the duties to perform reasonable investigations under the FCRA to be triggered, the dispute must be made to the credit bureau, even though all they are going to do is pass the buck on to the furnisher. Many consumers do not know this and end up with no claim because they went straight to the furnisher instead of disputing to the credit bureaus. But disputes to furnishers are important. See number 6 and 7. Because the credit bureaus do not pass on your proof to the furnishers and do a lack luster job translating your two page dispute letter to a two digit dispute code, sometimes it is up to you to let the furnisher know what your dispute really is. And disputing to the furnisher in addition to the credit bureaus eliminates a common defense I see from the furnishers where they claim ignorance as to a consumer’s dispute because they did not know what the credit bureaus meant by their two digit dispute code. So, all you consumers out there, be sure to lodge your disputes with both the credit bureaus (to trigger the FCRA) and with the furnishers (so they can’t avoid the FCRA by claiming ignorance). 9. “By the time you’re done fighting us, your toddler could be a teen.” This one I don’t necessarily agree with but only because the author of the Marketwatch.com article did not mention that you can stop the errors in most cases by suing the credit bureaus and/or furnishers. So, consumers, dispute the errors. Dispute them often. Give the credit bureaus and the furnishers multiple opportunities to do the right thing and fix their errors. And, if and when they don’t, hire a consumer lawyer like me and sue the bureaus and furnishers for all the heart ache their refusal to follow the law caused. 10. “Be careful what you pay for.” I’ve blogged on this topic multiple times at my blog located at www.fcralawyer.blogspot.com. The credit score that the credit bureaus so eagerly want to sell you is not even a score that is used by your potential creditors in most instances. It can be enlightening to see what your score is, but that’s about it. 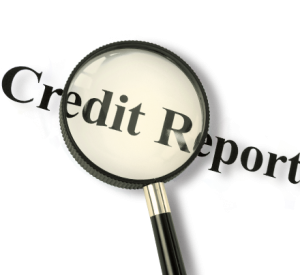 Creditor use different scoring models than what the credit bureaus sell. The most common used score is the FICO score which consumers can buy, but not from the credit bureaus. To see your FICO score, go to http://www.myfico.com. 11. “We spend top dollar to investigate your disputes.” Not only do they not pay top dollar, the credit bureaus do not even pay minimum wage to its investigators. Your disputes are being handled by outsourced investigators in such places as Chile, Jamaica and the Philippines, where the credit bureaus do not even have to pay minimum wage. And they work their third world work force by placing quotas on how many investigations they perform a day. One such credit bureau expected its investigators to perform an investigation every two minutes. That’s simply not enough time to “reasonably” investigate anything. Craziness to the nth degree. Please read the full article at http://www.marketwatch.com/story/10-things-credit-bureaus-wont-say-2013-02-15. Again, the article is very well written and a must read.